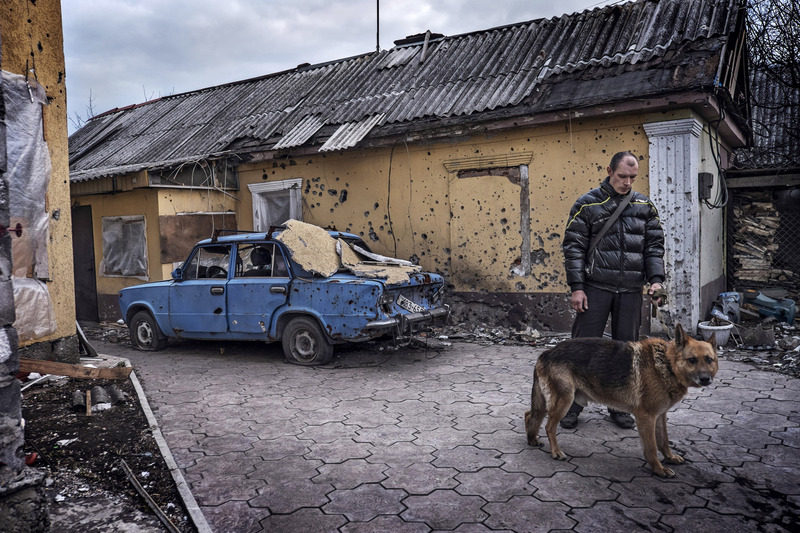 Several tens of thousands of dead and wounded, over a million refugees. 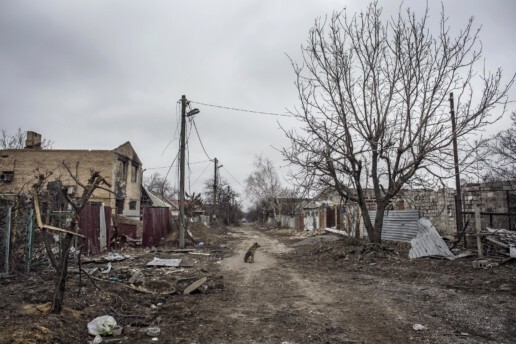 The civil war of the Donbass literally erased entire cities and villages from the map, staining with blood the soil of the European continent for the first time in the twenty-first century. A strange fate for two populations – the Russian and the Ukrainian – that until 1991 were part of the same nation, the USSR. 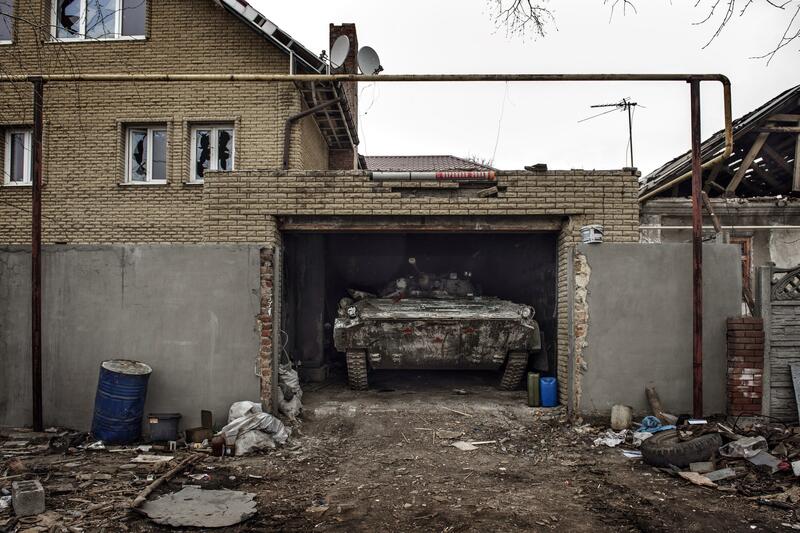 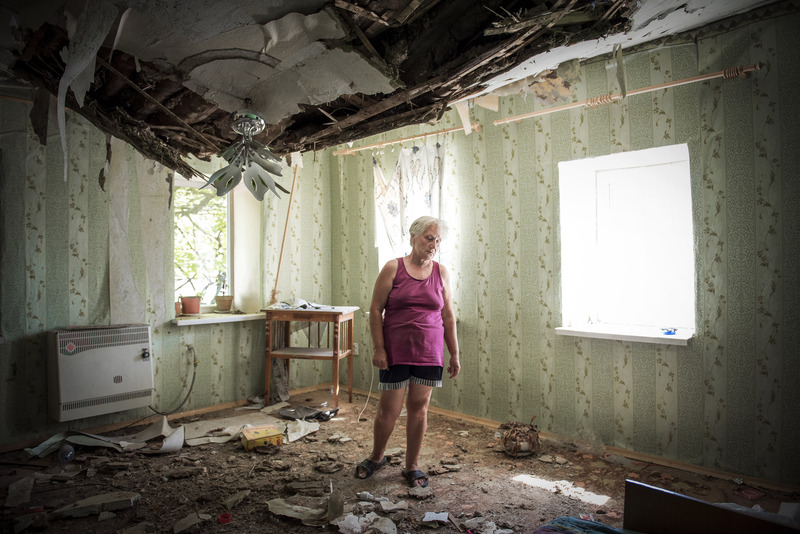 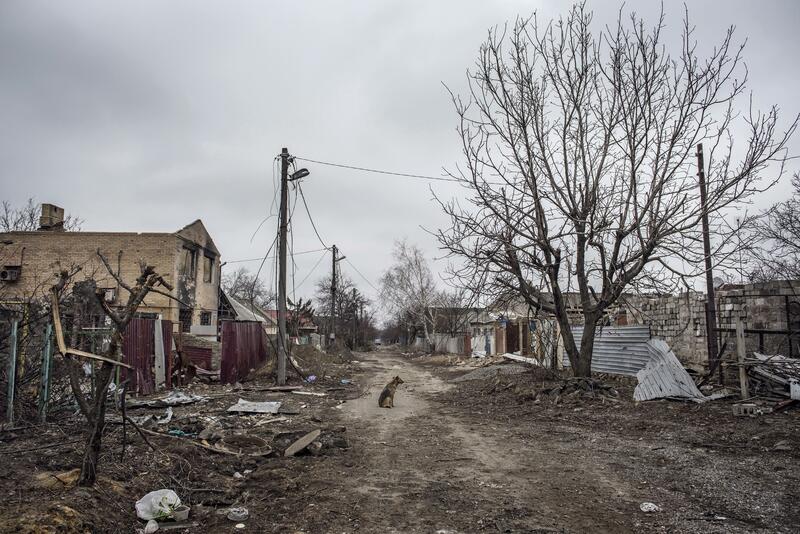 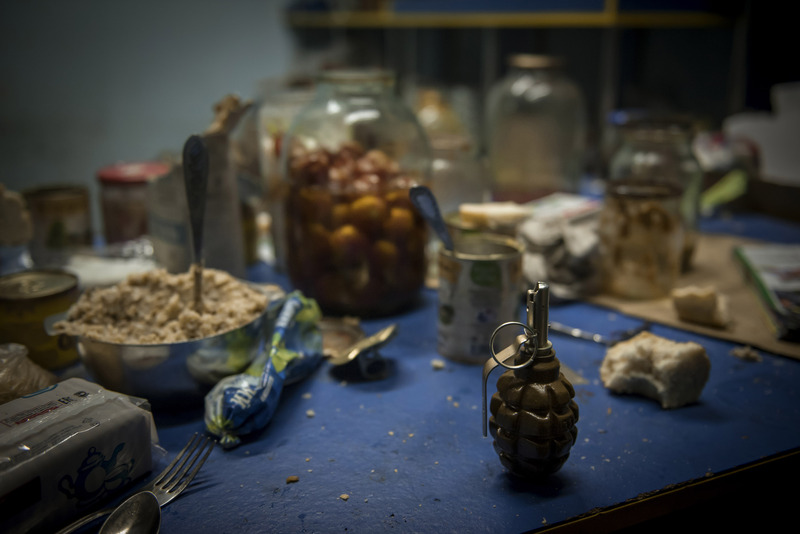 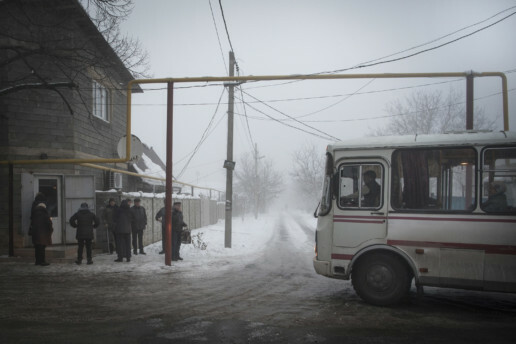 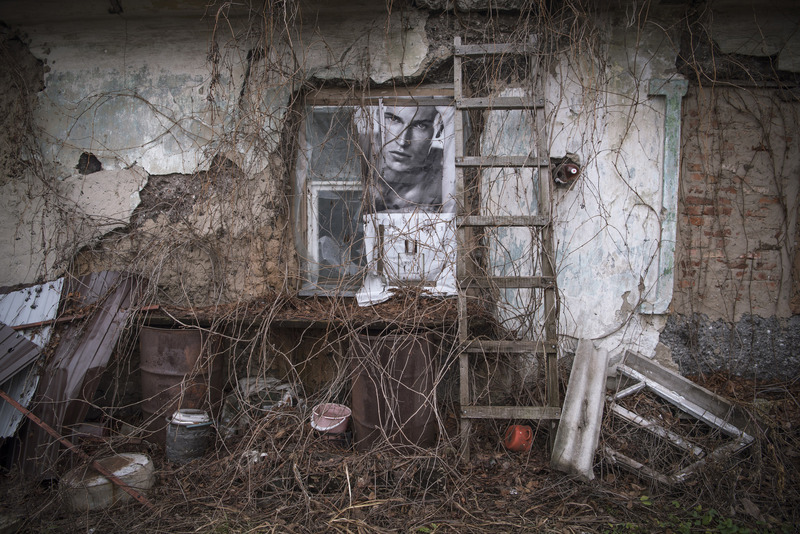 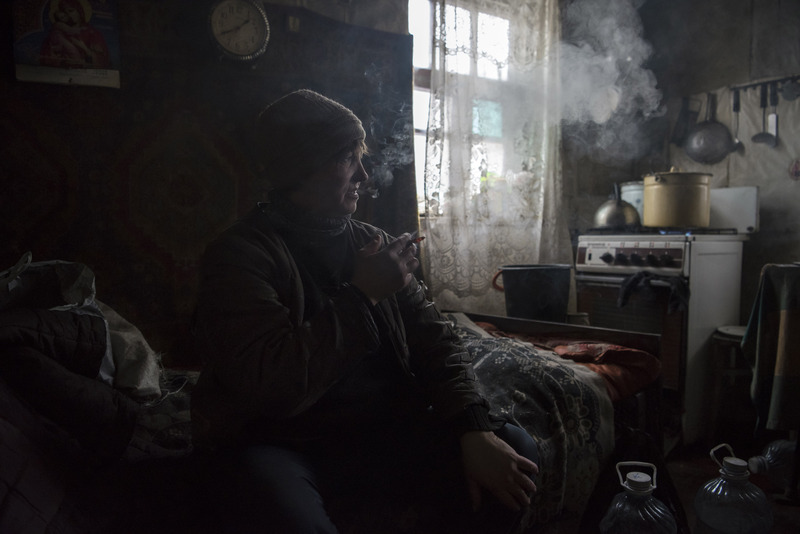 Spartak is a village located 3km North of Donetsk, the capital of the self-proclaimed republic with the same name; before the war there were about 5,000 inhabitants living there, today only 45. 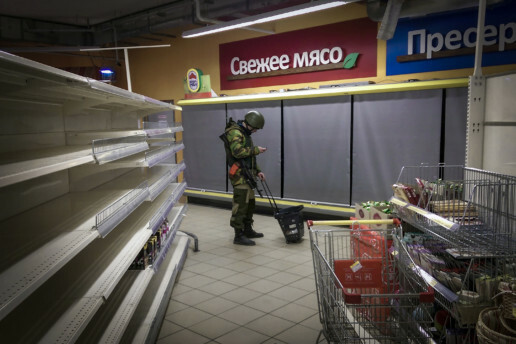 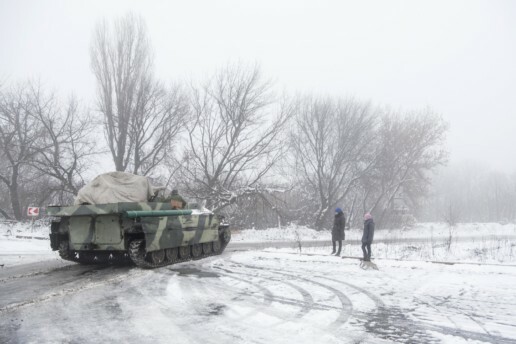 Since the beginning of the conflict, because of the fighting, about 210 people have died in Spartak while there is not an exact figure of the number of wounded. 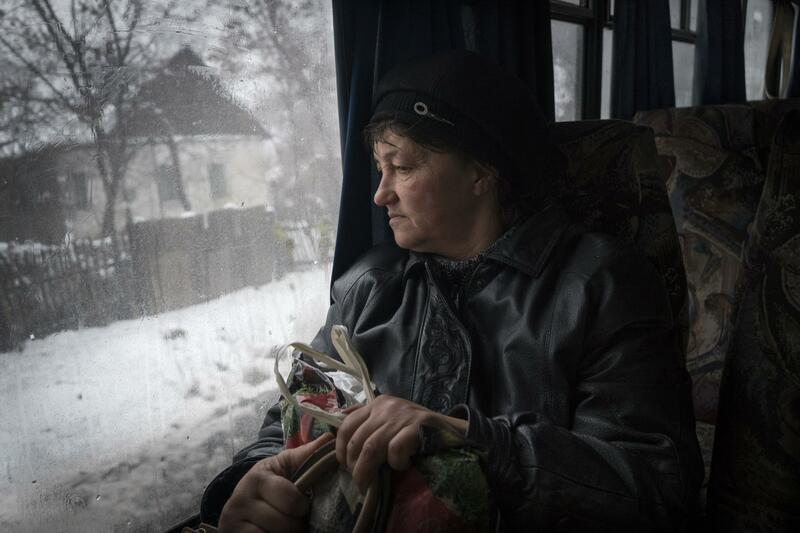 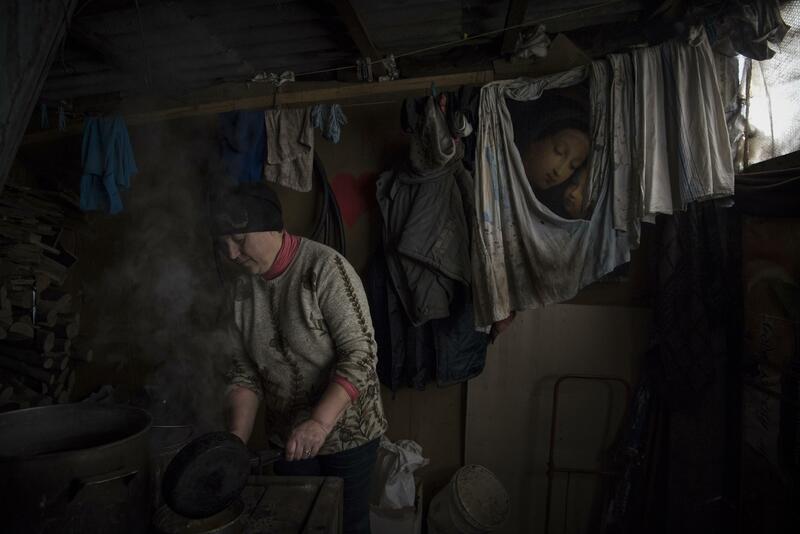 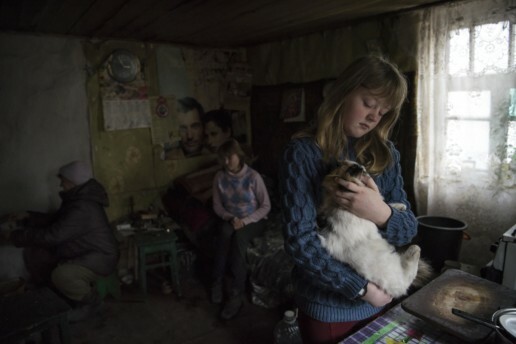 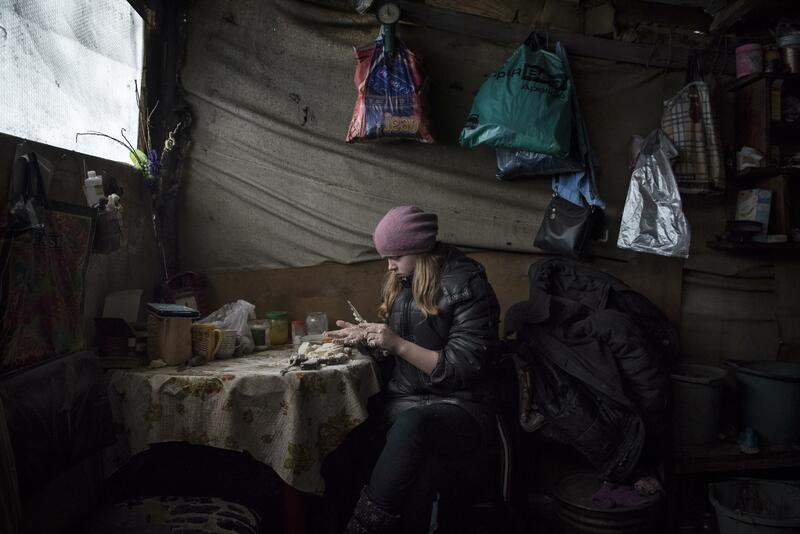 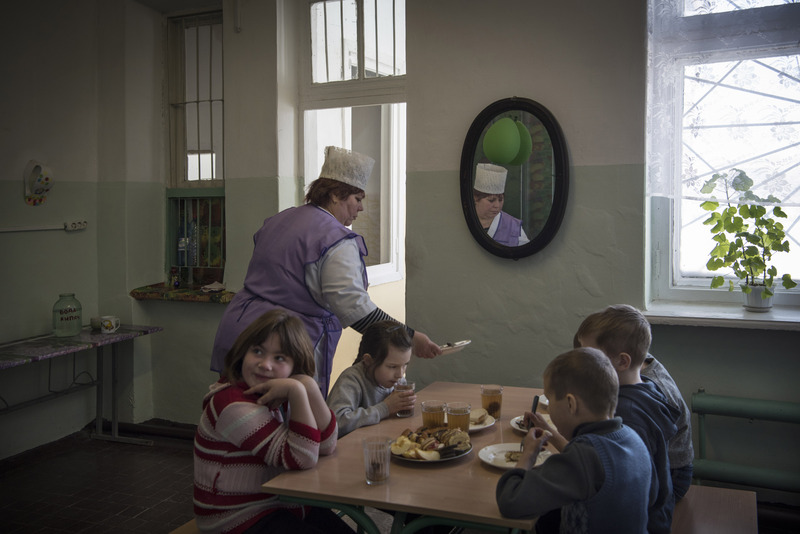 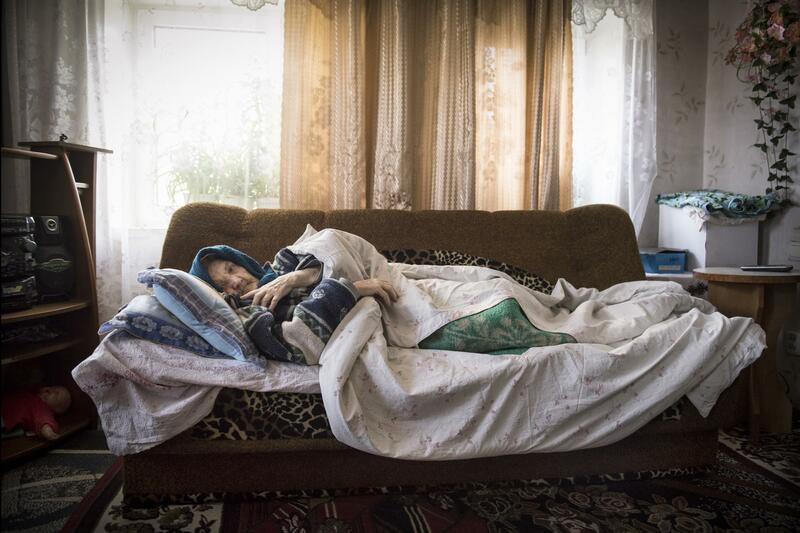 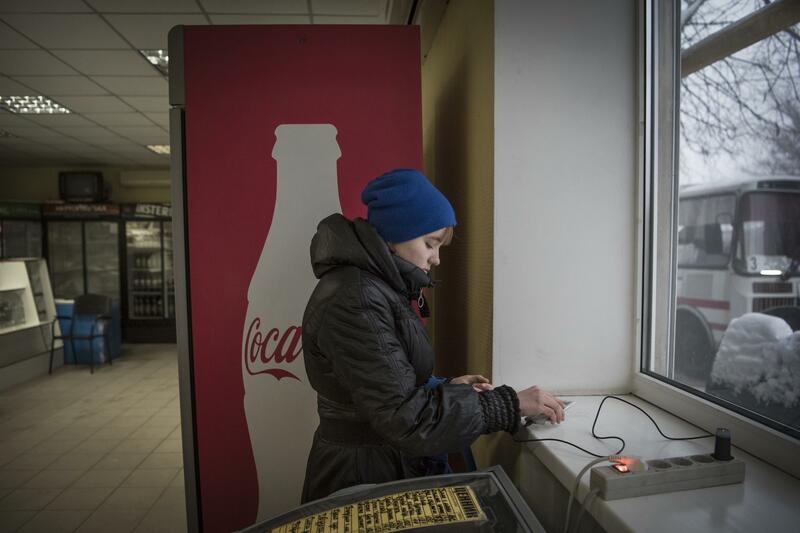 Almost all residents have fled either to Ukraine, some in Donetsk, some in Russia, while others have been relocated in dormitories run by the separatist government. 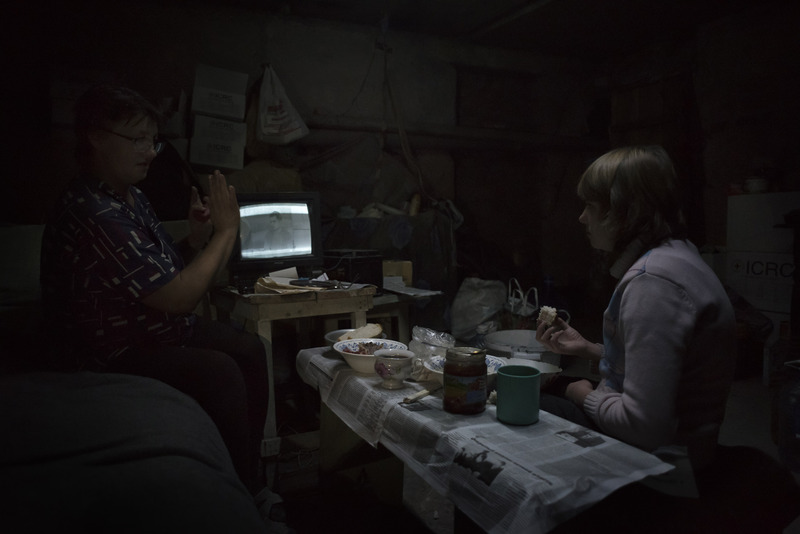 Today Spartak seems a place that survived a nuclear holocaust in which the survivors move like shadows. 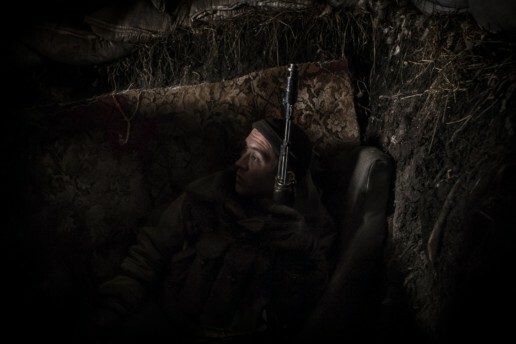 Among the rubble of the terraced houses and along the deserted avenues, packs of stray dogs roam around, while the ghostly silence is broken only by the noise of the wind-blown plates and the sounds of war that here and in many other places along the front line , hangs with all its horror. 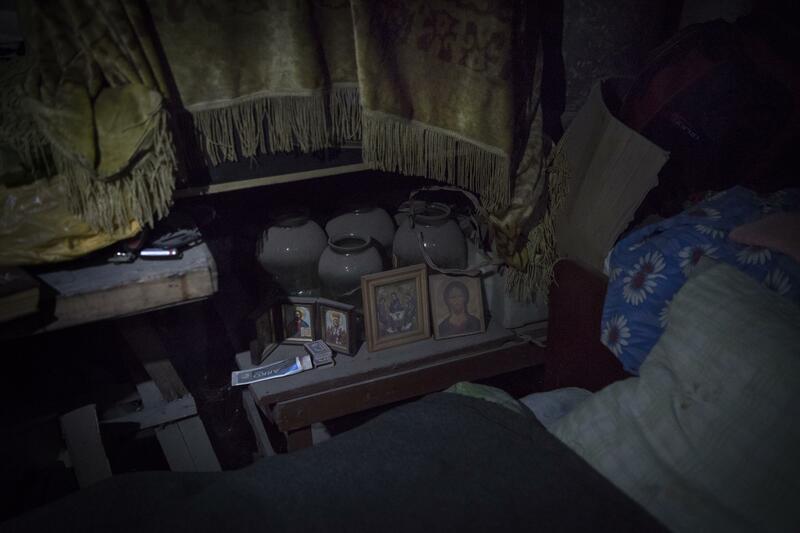 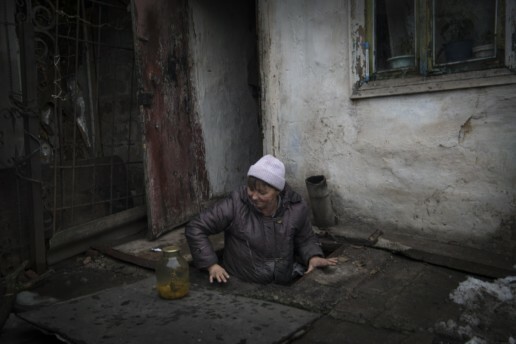 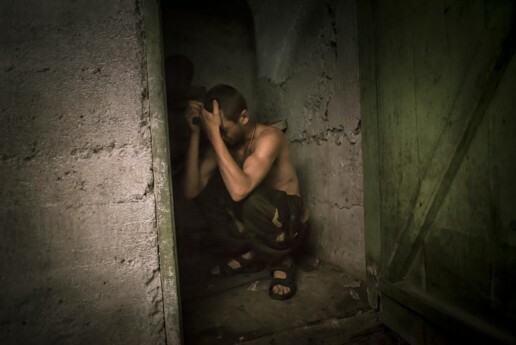 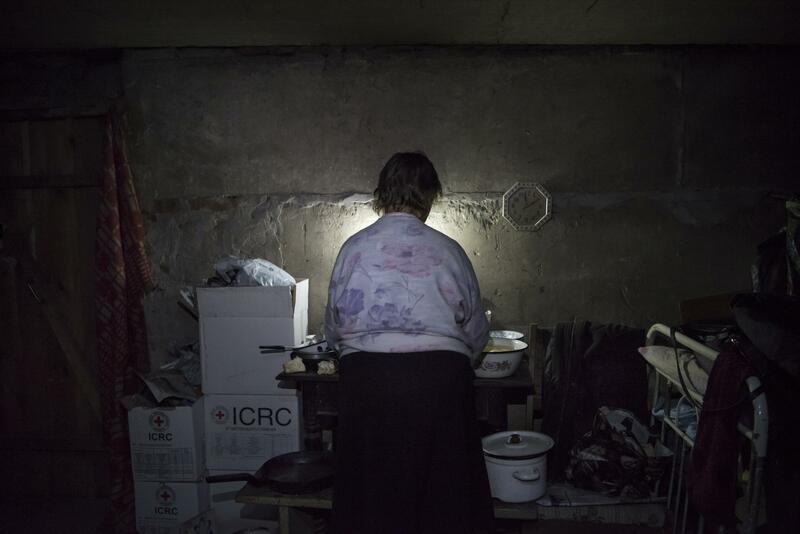 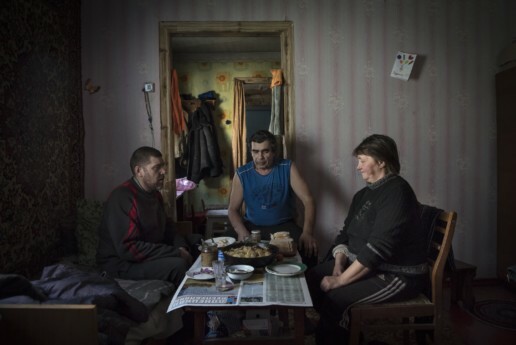 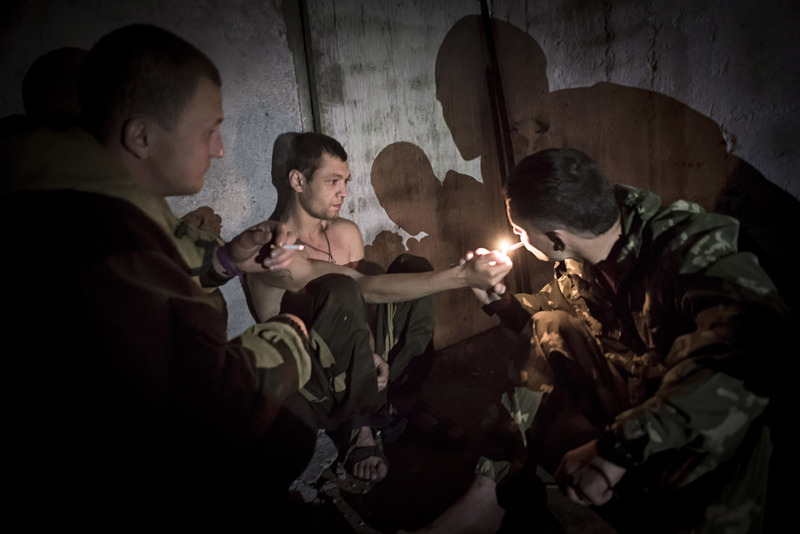 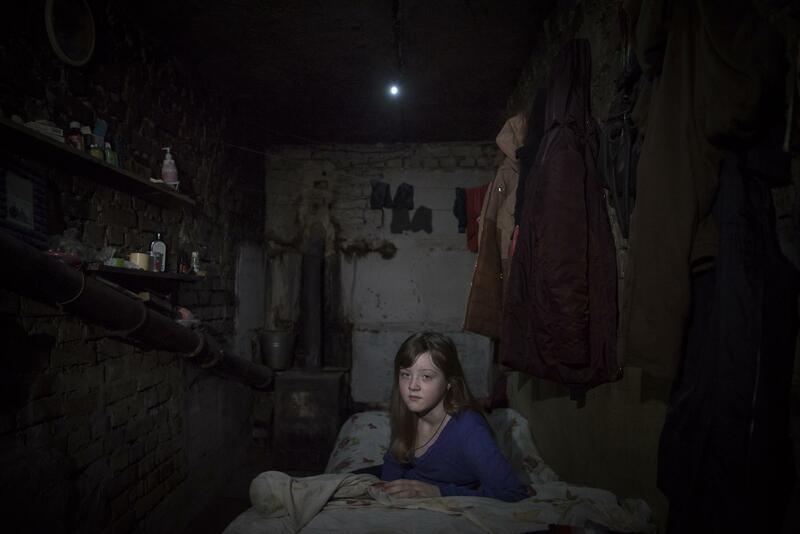 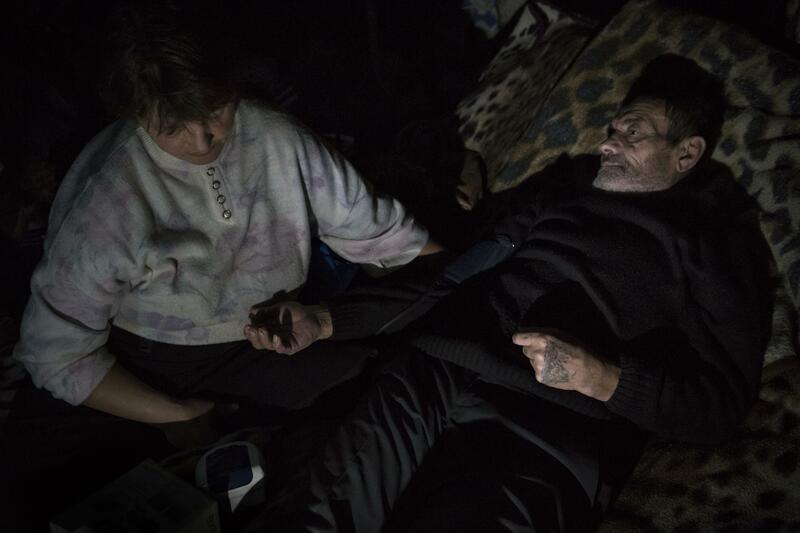 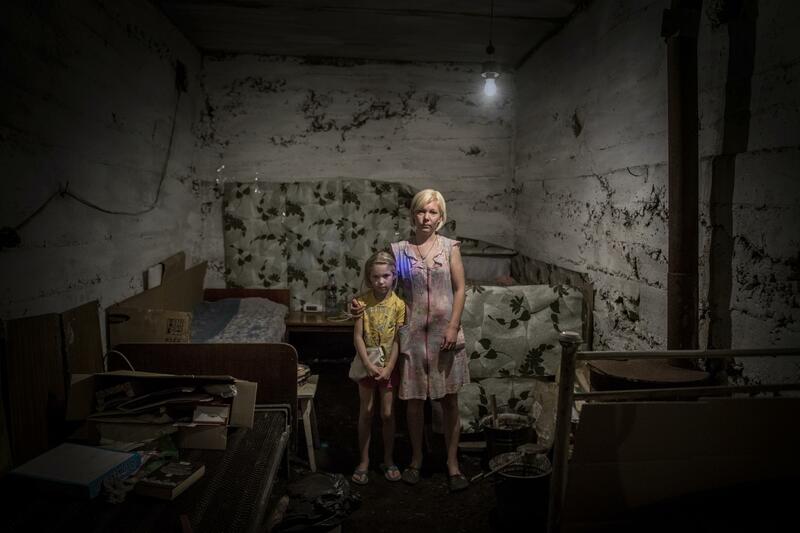 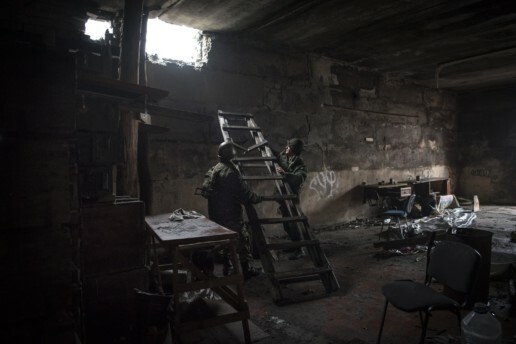 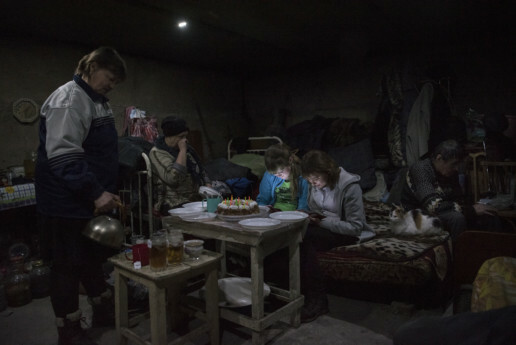 The 45 survivors have been living in Spartak for three years without light, running water or gas; during the day they either work for social activities useful for the community or they are dedicated to the repair of their homes, but at nightfall, when the fighting becomes more intense, they take refuge in the subsoil in makeshift bunkers built in the cellars of the largest buildings. Within these makeshift shelters, each occupant has crammed the most expensive things beyond everything necessary to cope with the rigours of winter or with days of prolonged bombing. 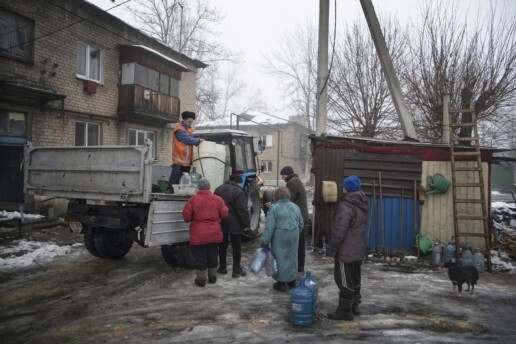 Every inhabitant receives from the municipality of the neighbouring city of Yasinovataya a monthly pay which is around 3000 rubles for the work done for the benefit of the community. 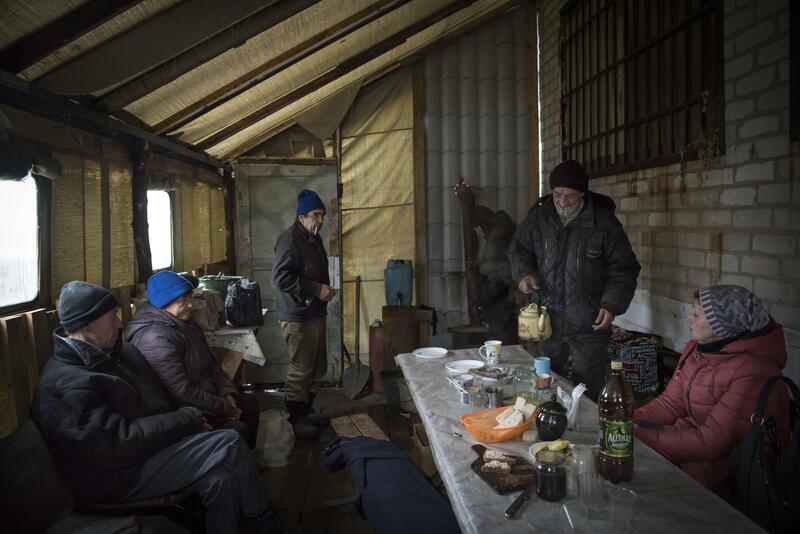 The houses and shelters are heated with wood stoves built by hand, the faint light is spread by LED lamps powered by car batteries, drinking water is brought by a tanker on Tuesdays and Fridays, the bread is distributed on Tuesdays . 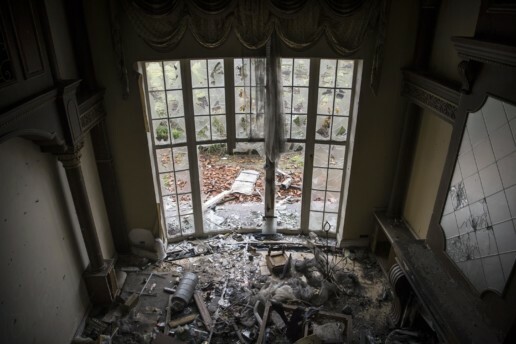 Every two months the IRC provides each resident with a package of humanitarian aid goods. 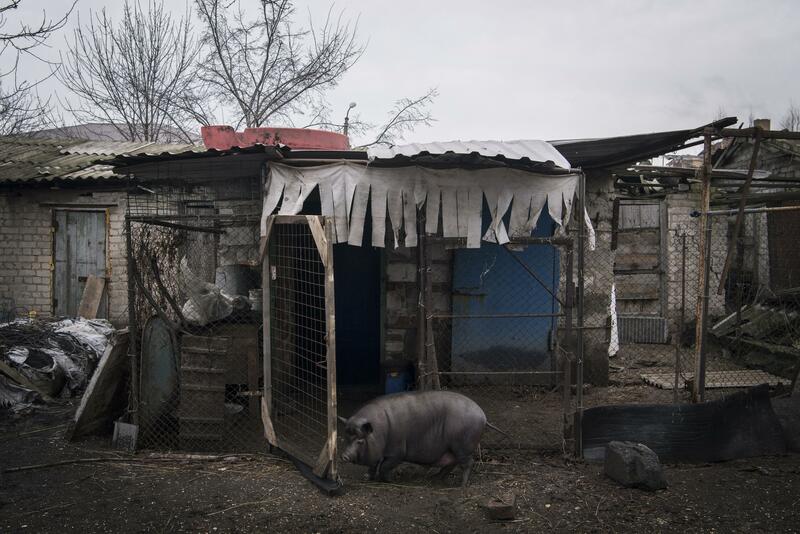 With the arrival of spring every inhabitant of Spartak is dedicated to the care of their garden, a further source of livelihood together with some farmyard animals raised in the common areas. 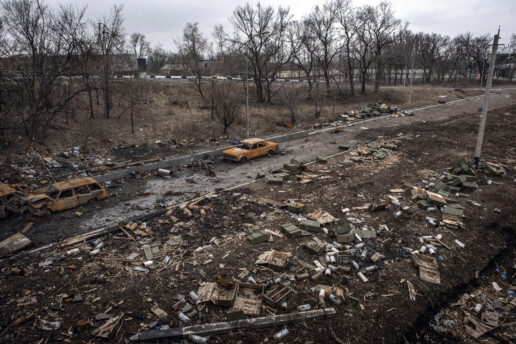 The area of Spartak is close to the Donetsk airport. Following the recent military advance of the pro-administration troops, the Donetsk airport became again an area of intense fighting. 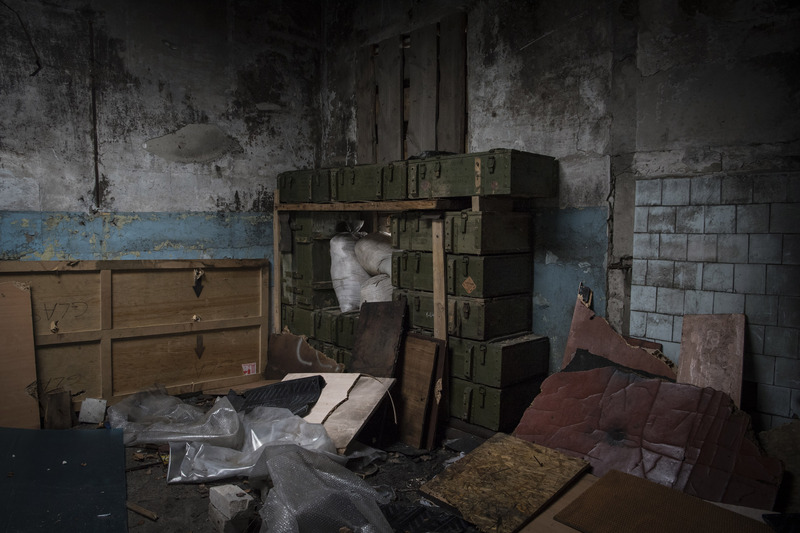 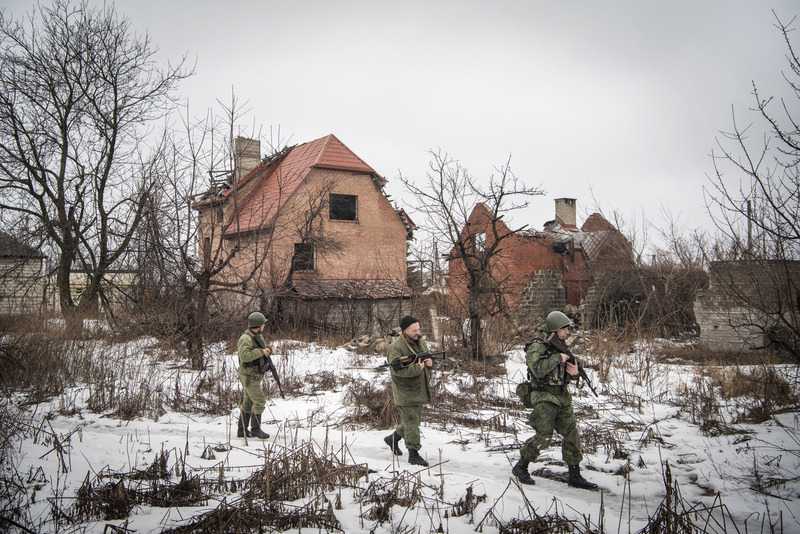 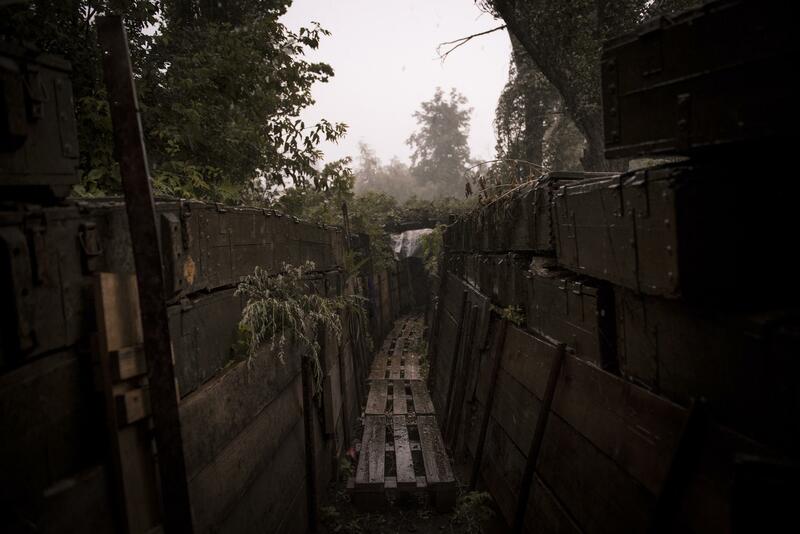 A few hundred meters from the last blocks of Spartak, the whole area has been mined and some disused houses, suitably fortified with trenches and underground bunkers, have been used as military posts to prevent a possible advance on the part of the government troops. 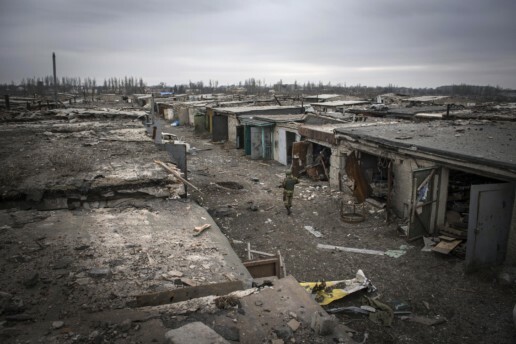 Military and civilians are thus able to cohabit closely in the same battered patch of land sharing daily the same dangers and the same discomforts.